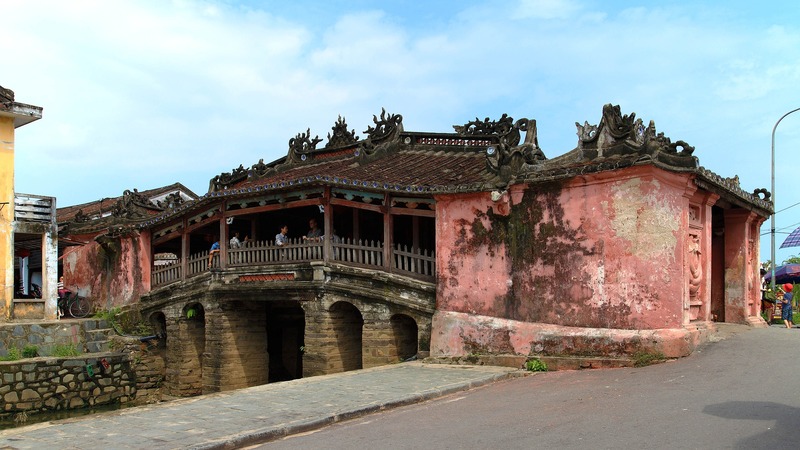 Hoi An is a historic city in Vietnam that has been largely untouched by the development of the rest of the world. The way of life here has not changed for many years, so you will feel yourself travelling back in time, as you absorb the beauty and culture of this city. This charming old town is well-known for its beautiful beaches, distinct architecture, amazing traditional Vietnamese food and talented tailors. The authenticity of the city has been preserved from when it was just a small fishing village hundreds of years ago. I live amongst the hustle and bustle of Saigon, so I often find myself pulled towards the serenity of Hoi An. 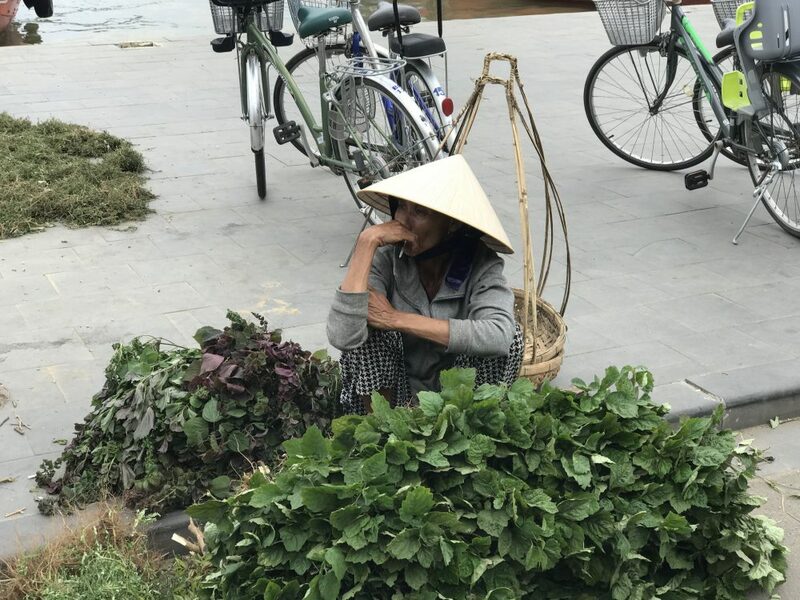 Whenever I need to clear my mind or just have a bit of time to myself and Hoi An is the perfect destination for me, and even though I have been multiple times, I am already planning my next trip! 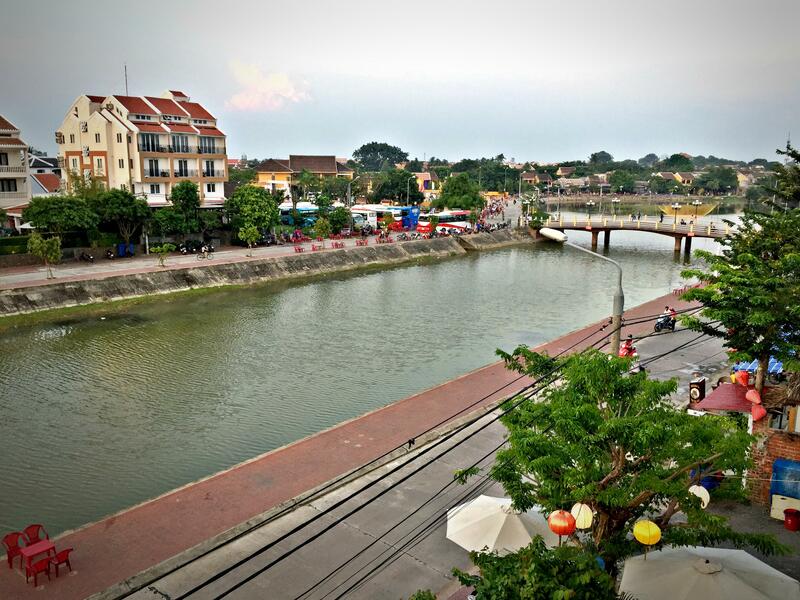 The best place to stay in Hoi An is close to the canal directly behind the ancient town because it is only a walking distance to the heart of the ancient town. This area is also more peaceful and offers different ranges of accommodation to choose. The view from my balcony at Lantana boutique hotel towards the ancient town. 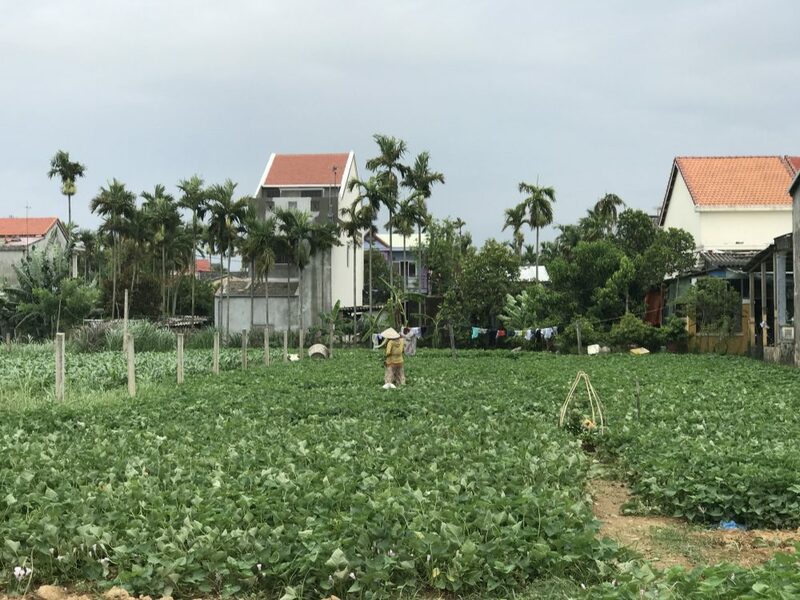 I have stayed in a number of different accomodations around this area, and from experience I would recommend ‘La Residencia Hotel’ and ‘Lantana Hoi An’ as I was very impressed with their exceptional customer services. 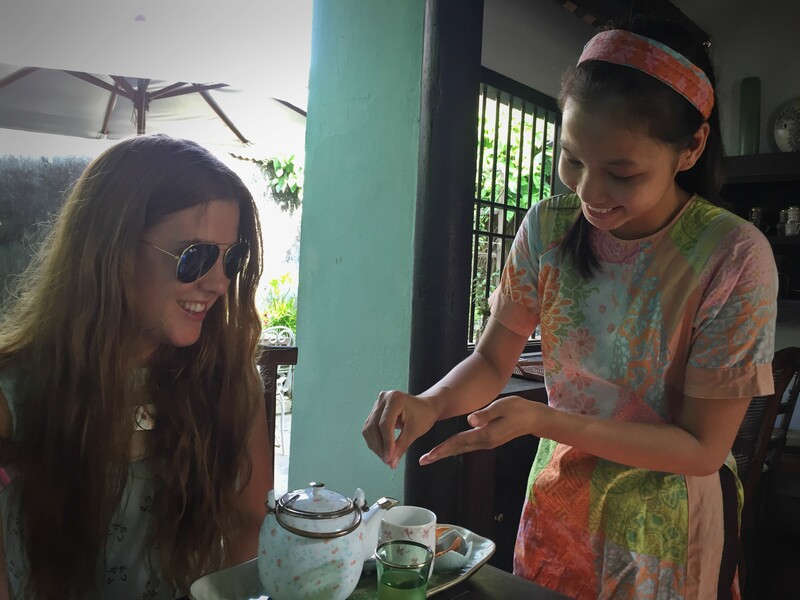 To get the most out of your time in Hoi An you should hire a local guide, who will already know the best places to visit and will accommodate to all your needs. 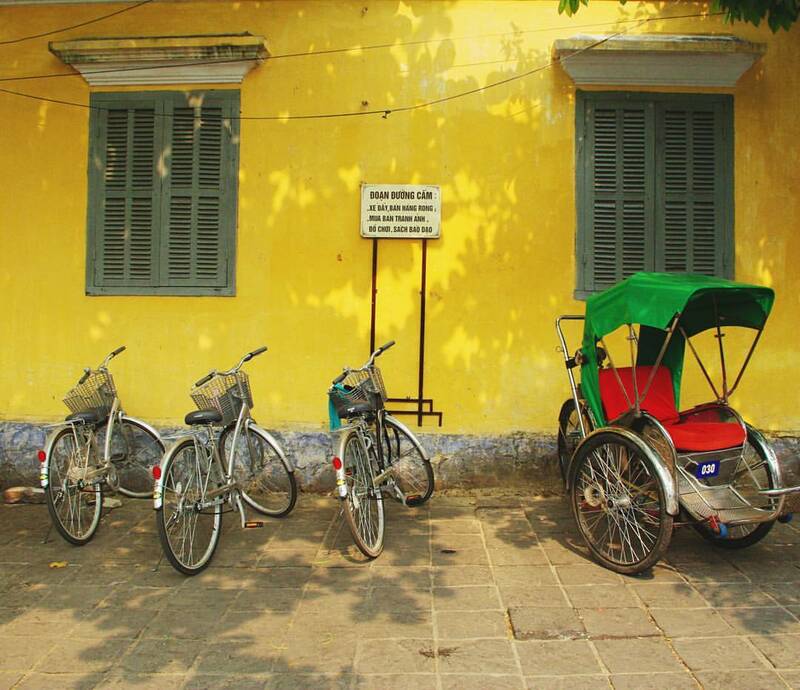 During the day, you can explore most of an old town walking at a leisurely pace, or even hire a cyclo so that you can see the sights faster and spend more time shopping! The cyclo drivers will be happy to help you with any requests or questions that you have. Observing life in the city can also be done by hiring your owns bikes, picking up a map and setting off. 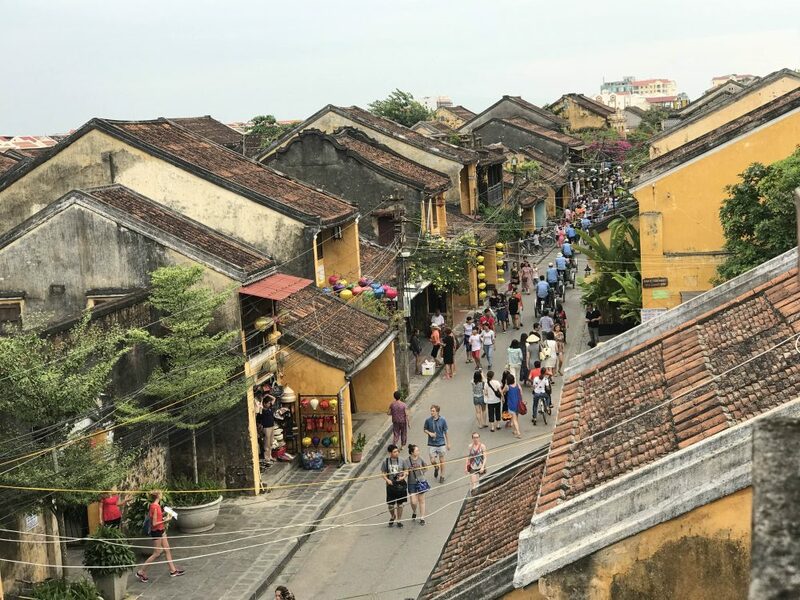 Hoi An ancient town is UNESCO world heritage site which bears all the hallmarks of traditional Chinese and Japanese towns thanks to its heritage and remarkable preservation which has stood the test of time. Hoi An is far more tranquil than the other bustling cities of Vietnam as it experiences much less traffic and the people here live a much more relaxed lifestyle. 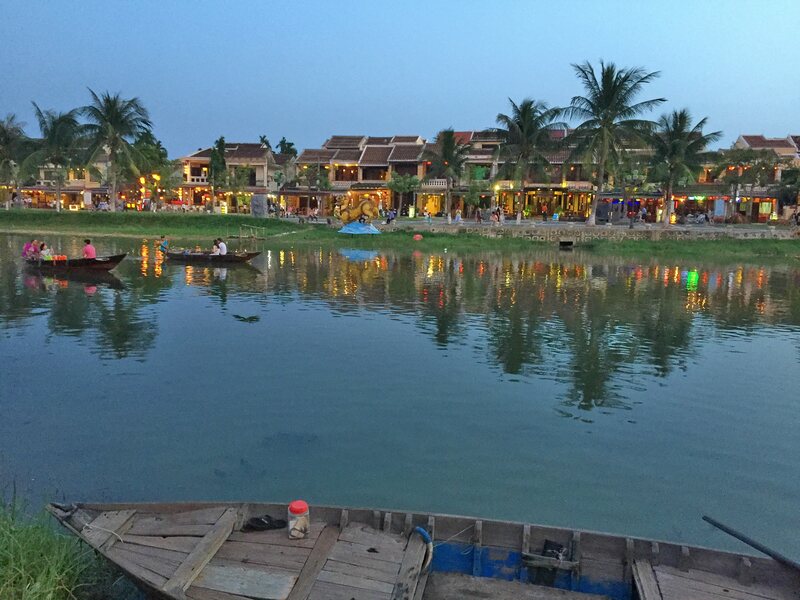 The real beauty of Hoi An comes out as the sun goes down. 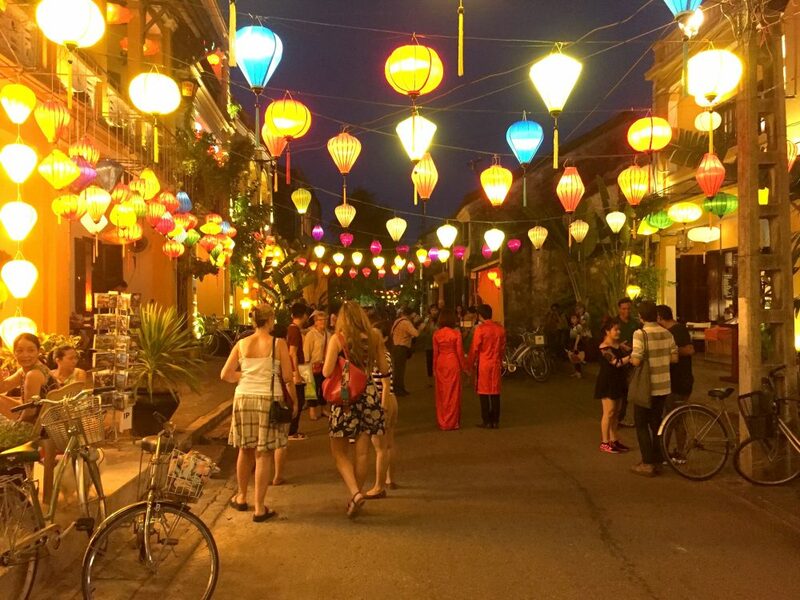 Once night dawns the lanterns all around the closely knit streets come alive and light up old town. Around the canals, people float small lanterns on the water for good luck and make a wish. This traditional event is a vivid spectacle and one that you will remember for the rest of your life. At night, when you are standing on the Japanese Covered Bridge, looking down the river, the entire ancient town looks like it has been plucked straight out of a painting. Cua Dai beach is one of the places you need to tick off your list if you are in Hoi An. 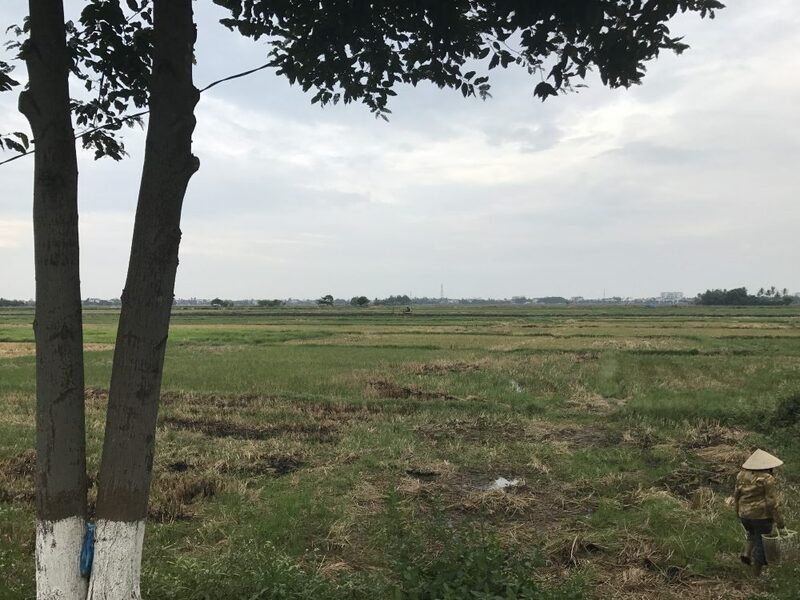 I find it most enjoyable to rent a bike and ride past the rice fields to the coast which is only 5kms away. Cua Dai beach has been consistently voted one of the best beaches in Vietnam. 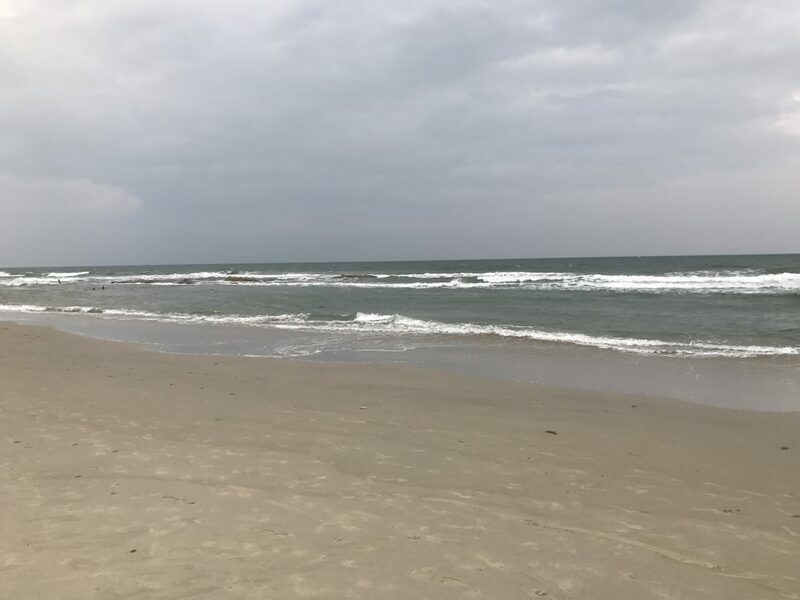 Crystal clear water, extended soft sand beach and peaceful ambience are some of the features that lure travellers to come here. Cua Dai beach is about 5 km from the ancient town. All bikes frames are made from bamboo at Mekong bike shop. 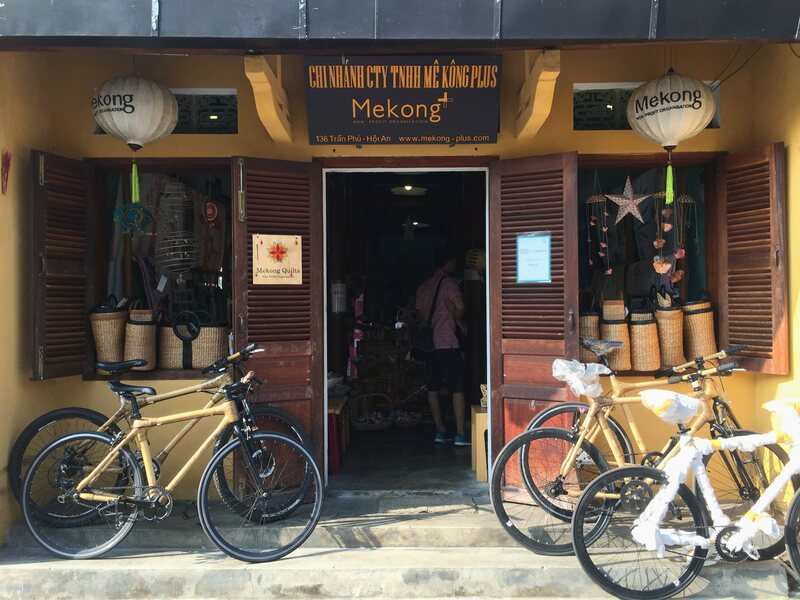 If you are into shopping, you can stop by one of many local handmade shops offering everything from handbags, suitcases to bamboo bikes. All the products here are locally made so buying products here is also a way to support the local economy. I bought a leather wallet here, and the quality did not disappoint me, although buying items in the centre of town can be a little expensive due to its touristic nature. I found shopping in the outskirts of old town was a lot cheaper, especially if you visit the flea market or the pop-up shops. Another thing that visitors come here for is to have their suits or dresses tailored. Suits made here are praised for their high quality and only at a fraction of the cost of branded ones. One of the things that I learnt when I was here is that you should plan your tailor-made clothes as soon as you arrive. Although you can have the clothes made overnight, the quality and the embroidery are not as high if they are in a rush, so if possible try to give them a bit of time to perfect it. The best thing to do in Hoi An for me is to wander around Hoi An market and see how the local people live their life. Although the town has changed dramatically and many locals have moved out of town giving rooms for new shops and restaurants. 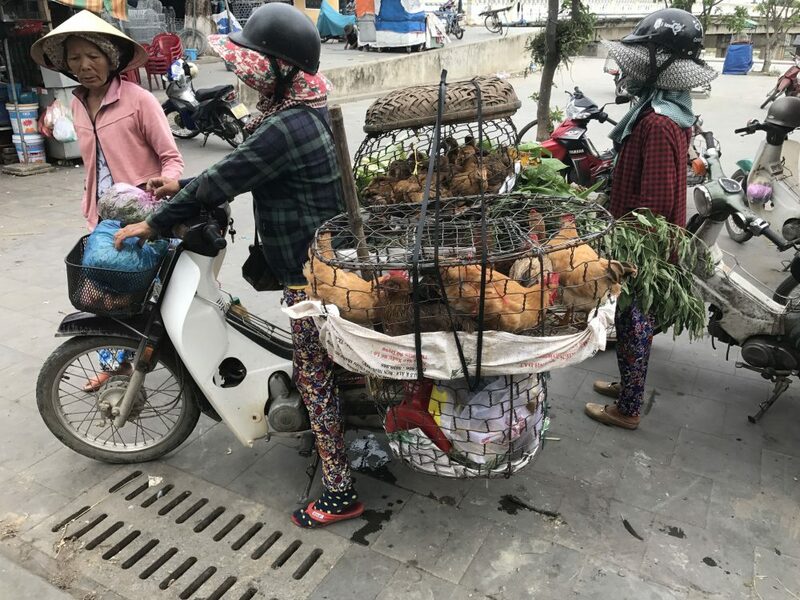 However, they still come to Hoi An market for food and other daily supplies. So don’t miss the chance to walk around the market to see the bustle part of town and taste the many delicious street food. 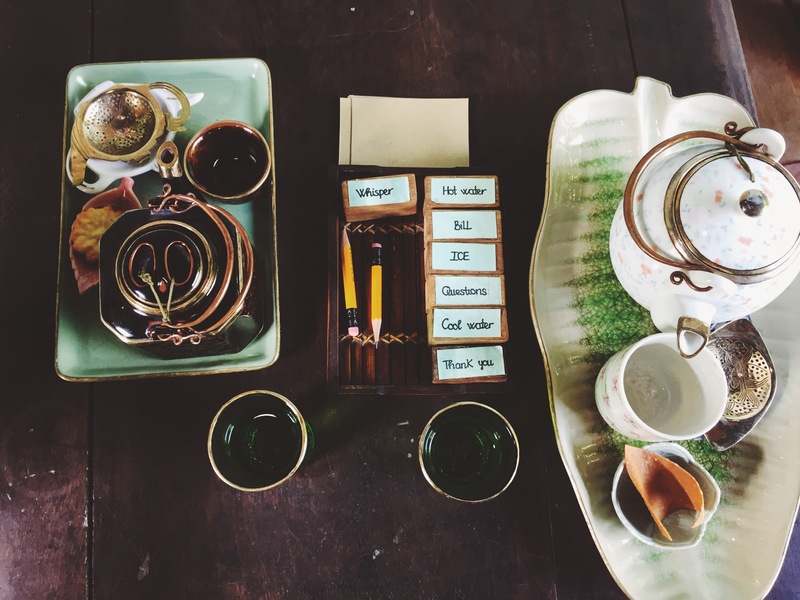 From viewing the sunset from a hidden rooftop to drinking tea served by hearing impaired staff, you should get off the beaten path and explore the hidden charm of Hoi An. 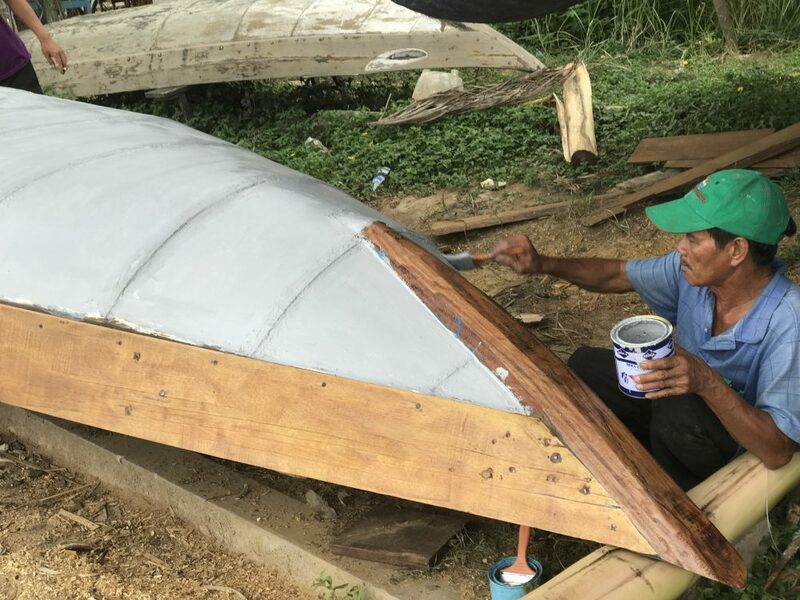 I had a great time rowing one of the boats together with a local. We rowed deep into the coconut island to catch some crabs. Whilst one the boat I was captivated by the stories she had to tell and it really made me appreciate the interesting people who lived here. She talked about her life as a fisherwoman, and then becoming a local guide to provide her with extra income. 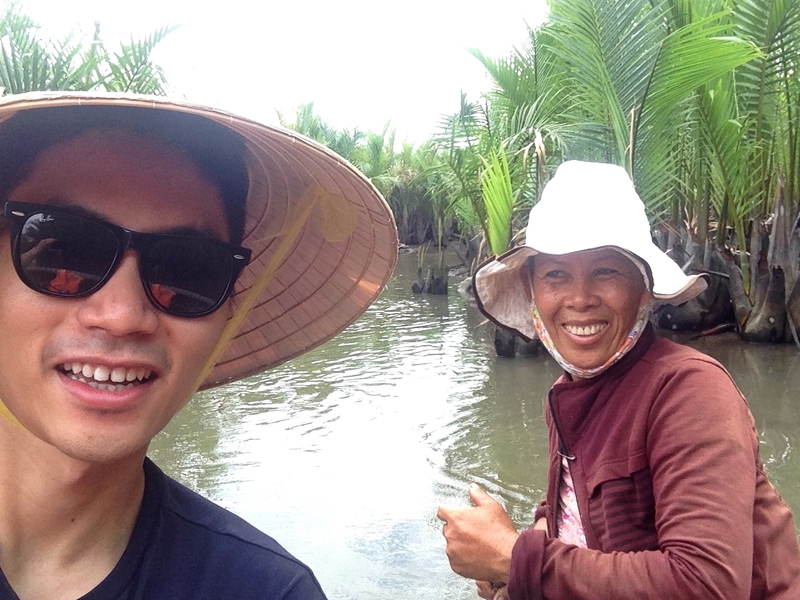 If you want to get a taste of how the locals live, you can buy tickets and go to Cam Thanh Coconut Island where you can experience how to row a boat and catch crabs just like locals do. Although rowing the boat is good fun, it is much harder than it looks and the locals may end up having a little giggle at you! 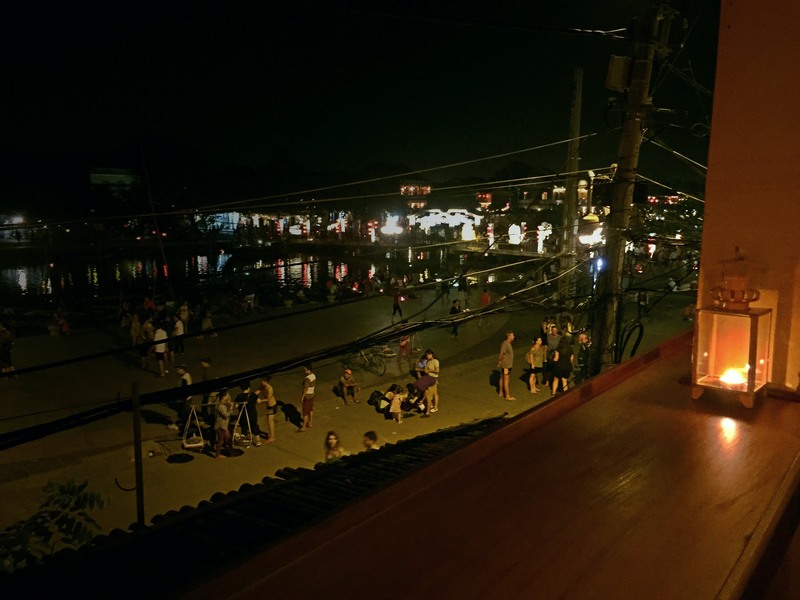 One of the hidden gems of Hoi An is the rooftop of Faifo coffee at 130 Tran Phu where you can view the entire town. If you are a photographer and want to capture the sunset, the view from here will not disappoint you. Faifo rooftop is an ideal place to view sunset and looking over to the whole town. It is the local’s favorite spot for a wedding photo shoot. I was so intrigued by the system of using blocks with writing on to communicate with the staff. The waitress served us with a big smile on her face. 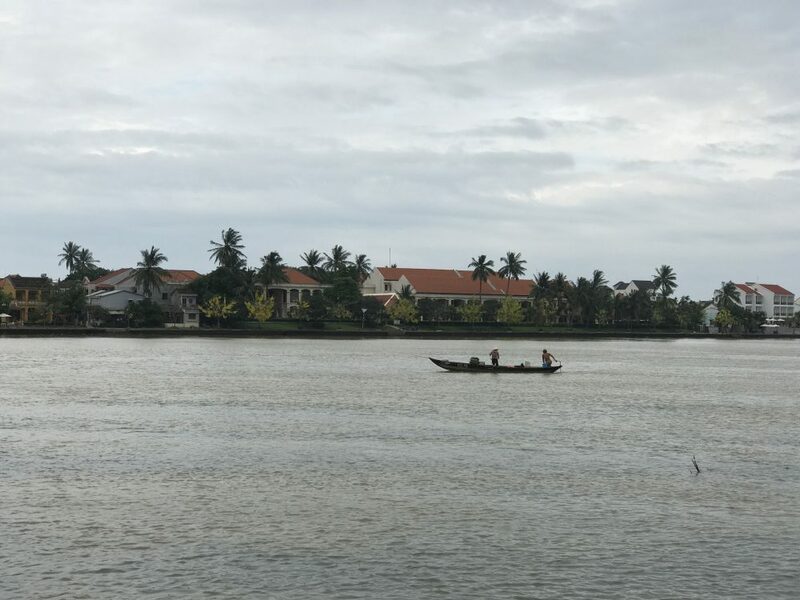 Not too far from Hoi An market along the Hoai river bank, there is a fishing village where you can walk around to see the local fisherman catch their daily products and explore the surrounding local farms. The best time to see the local activities here is in the early in the morning or late in the afternoon. 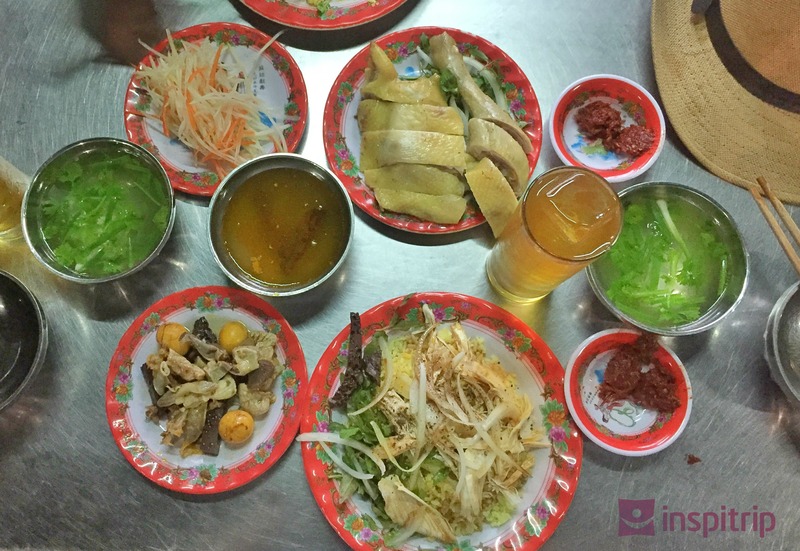 Hoi An offers many great Vietnamese cuisines. 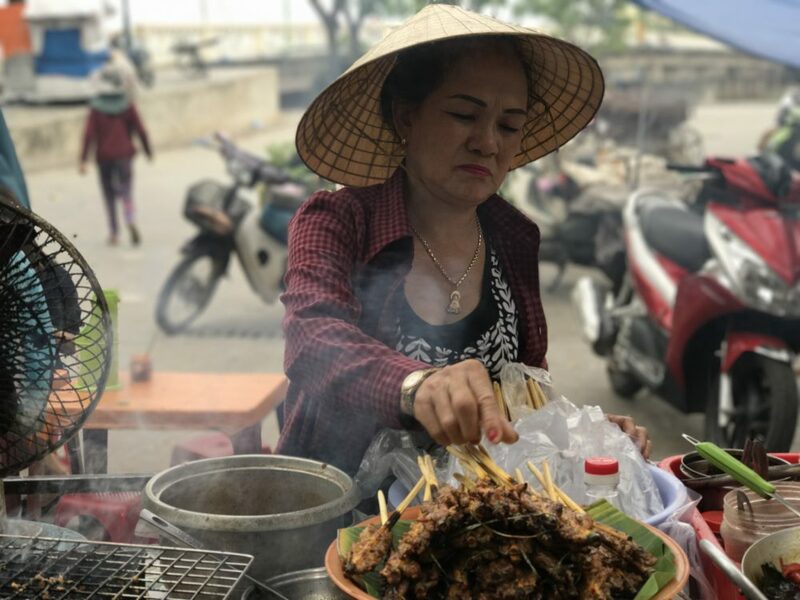 The signature dishes are Com Ga (Chicken rice), Cao Lau (Pork noodle Hoi An style) and Banh Mi which all combine a range of flavours to produce a delicious meal. 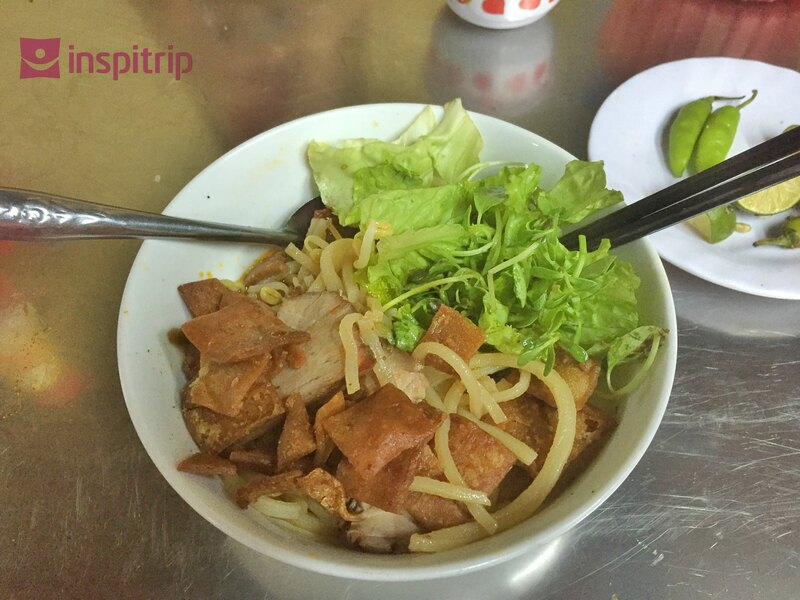 One of Hoi An’s signature dishes is Cao Lau, a pork noodle dish served with fresh vegetables. It is native of the region so is difficult to find elsewhere, so I recommend you try it while you can! The stall at 26 Thai Phien is the local favourite so you can be guaranteed a good meal if you eat there. Com Ga (chicken rice) is another local specialty that you cannot miss out on. Shredded free range chicken is served with Vietnamese coriander and special yellow rice cooked from chicken broth. This dish is a favourite of mine although I have tried many other dishes around Hoi An. My favourite chicken rice restaurant is Com Ga Ba Buoi on 22 Phan Chu Trinh street. 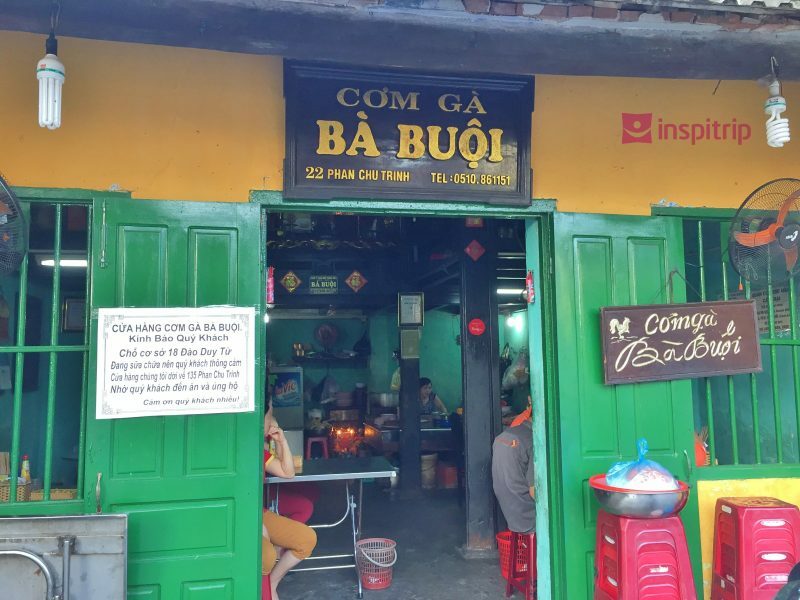 This shop has been in Hoi An for more than 30 years, all the way from the current owner back to his Grandma. What makes the chicken rice here special is the free range chicken that comes with homemade chili sauce. 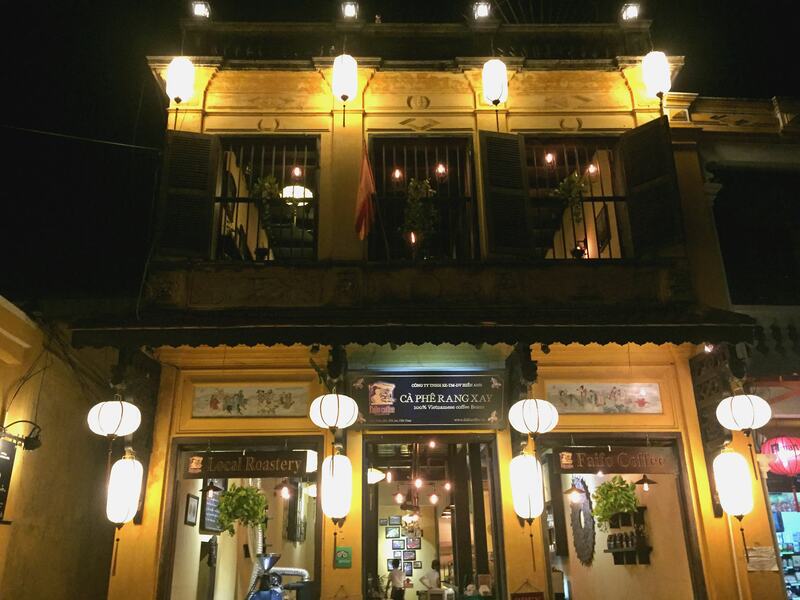 The cosy ambience and the shop itself is in a authentic old house make the experience more special. On top of all this the price is very reasonable, around $4 per special dish so you have no excuses not to try it! Although Banh Mi can be found anywhere in Vietnam, Hoi An is the home of two world famous Banh Mi stalls. Banh Mi Phuong, 2B Phan Chu Trinh, which was Anthony Bourdain’s favourite, when he visited Vietnam. Another famous stall is Banh Mi Madam Khanh (aka The Banh Mi Queen) on 115 Tran Cao van. A roll of banh mi Phuong, which is balanced and rich in flavour. If you have a sweet tooth, head into the ancient town and indulge in the Vietnamese dessert called Che, sold by many street vendors. I find Che “Hat Sen” or lotus seed Che to be the most refreshing and appetising dessert to sate your desire for sweetness. Although I prefer street food in Vietnam, from time to time I treat myself to a nice meal in nice restaurants where the food preparation is an art. In Hoi An, a good example of one of these kinds of restaurants is Mango Mango. Not only do they have an open kitchen where you can see the food preparation process, but they also have one of the best view in town. If you are on a date night, this is the perfect place where you can get a view of the whole street over the balcony, whilst enjoying your romantic dinner. Restaurants: Com Ga Nga (8 Phan Chu Trinh), Com Ga xi (47/2 Tran Hung Dao). Things to do: Bike ride, wander around ancient town, visit Cua Dai beach, have tailored clothes. 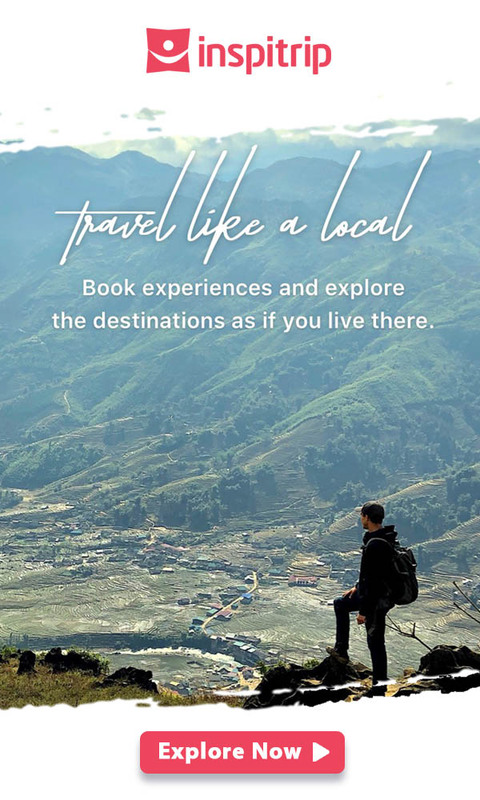 How to get here: The only way to go to Hoi An is from Danang. As Danang (central Vietnam) is a big city, flights are frequent and take about 1 hour. Alternatively, coaches are available and take about 20 hours from Saigon or Hanoi to Danang. Airport Transportation: The town is about 30 kms from Danang city centre. You can buy a shuttle bus ticket directly from the airport for around $20. Alternatively, you can always use taxis. Taxis fare is around 250,000 VND but you can always negotiate with the drive for the fix price. An acceptable one is from 200,000 to 250,000 VND ($12 USD). If you plan to stay in Danang, you can rent a motorbike and ride there. The road is straight forwards and safe. 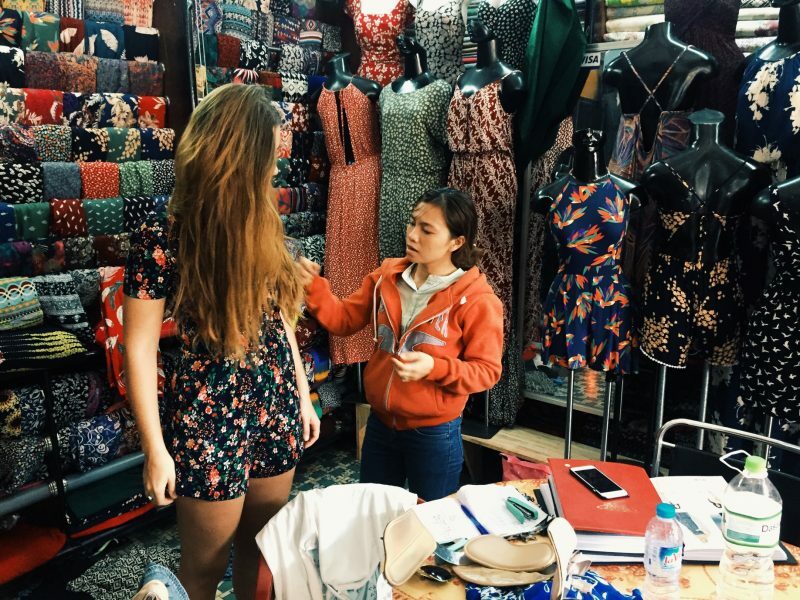 Alex is a local insider living in Saigon. He was born in Saigon and grew up in Australia. Alex is passionate for travelling and has been to 26 countries. Renting Bikes In Copenhagen Reserve best luxury motorcycle rental, bike rental service, rent a christania. Enjoy the best place in Miami via luxury bike.